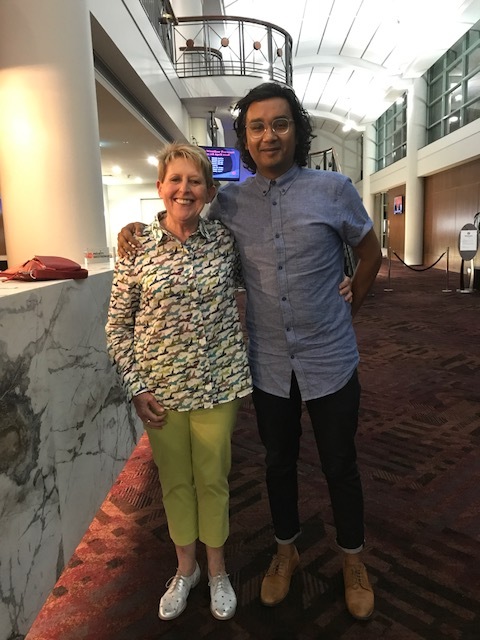 Hello again from someone—the author of I’m Australian Too—who’s been shortlisted a couple of times this year and long-listed once, and hasn’t won anything so far. But that’s OK. 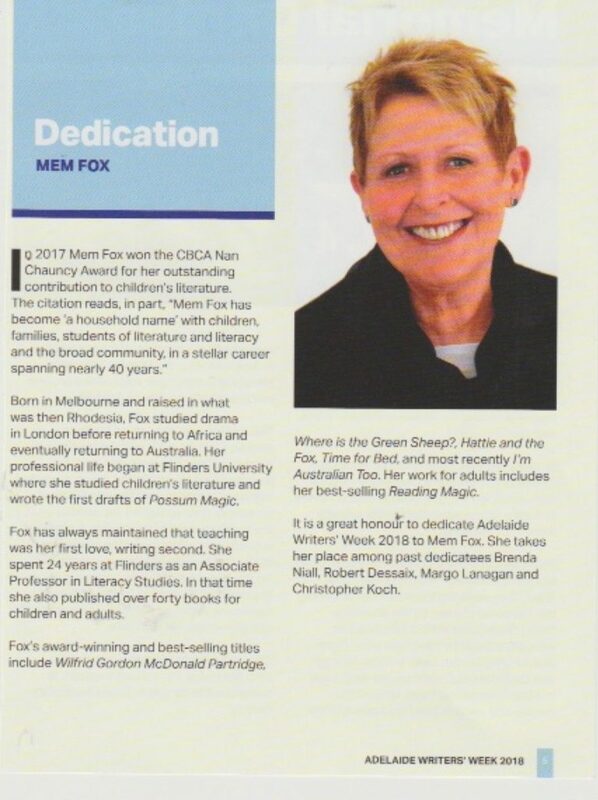 In Hobart a couple of weeks ago, I didn’t win the gong for children’s writers from the Independent Booksellers of Australia, at the annual Leading Edge awards. But how could I have minded? There were only four books on the children’s shortlist, so I felt lucky enough to be there anyway, especially with a picture book. Jessica Townsend, the author who won for a ragingly successful novel, Nevermoor: the Trials of Morrigan Crow, was so bubbly and thrilled and funny and unassuming that I was happy for her. Better still, she also won the whole Indie Book of the Year that night, the first children’s author to have done so, so three cheers for her. 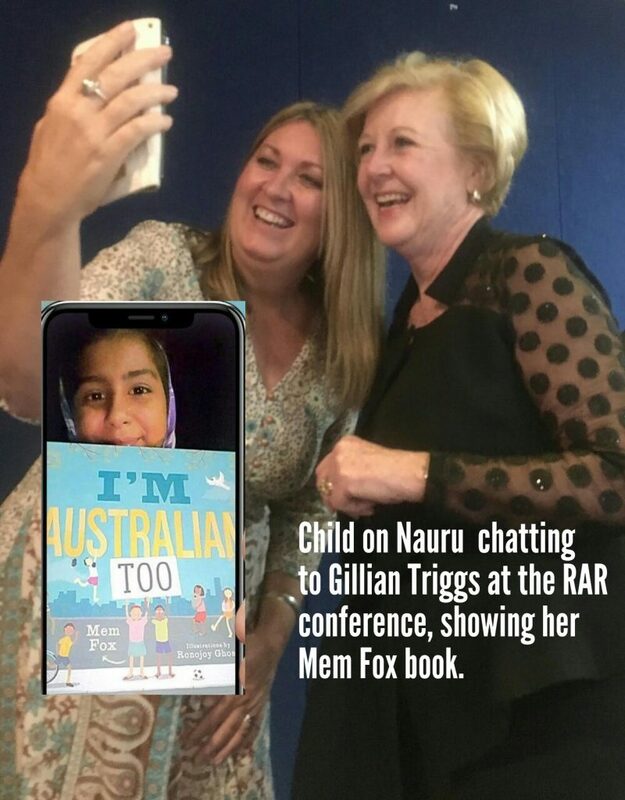 When I arrived back home in Adelaide, I turned on my phone as soon as the plane had landed and read the happy news that I’m Australian Too had been shortlisted for the Children’s Book Council of Australia awards, to be announced in Children’s Book Week in August. It was an emotional up-down-up situation, I tell you. I love ups. This was supposed to be my year off. I felt I was writing speeches every night last year and was determined to calm down a bit, but as usual, real life has taken over. Which is grand, in a way, at my age. Adelaide Writers’ Week (dedicated to me, this year, as you see below) was entirely fabulous. My birthday fell by chance on the day of my in-conversation session. It was packed out and very lively, thanks to the very sharp, terrific chairing by Ruth Starke. Hundreds of people wished me a happy birthday, all at the same time. Very jolly. And my signing lasted two hours. Books sold out and people were running from the festival to bookshops in town, hoping I’d still be there when they got back. And I was. Happily, my husband had given me as birthday present three days in the hotel nearest to the Writers’ Week events , so I wasn’t too far from ‘home’ at any one time. Old people get tired when they’re over-stimulated and high as kites… To tell the honest truth, I’m always tired, but it’s a happy kind of tiredness, associated mostly with being a mother, grandmother, wife, and all that. At Writers’ Week, my own reaction to a couple of autographs for me, not from me, made me realise why there’s so much excitement over an autographed book, and why people will stand for hours in the heat waiting to have a book signed. 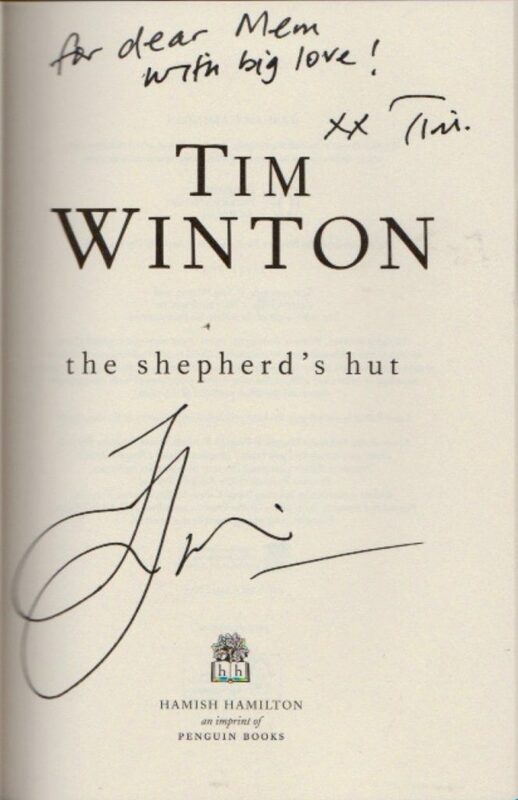 Tim Winton signed his latest (and in my opinion, best) book for me: The Shepherd’s Hut. And we were able to have a bit of a chat. I was madly, madly pleased, way beyond what could be normal. It’s a sensational novel, so fast-paced and emotionally draining you’ll want to read non-stop till it’s finished. 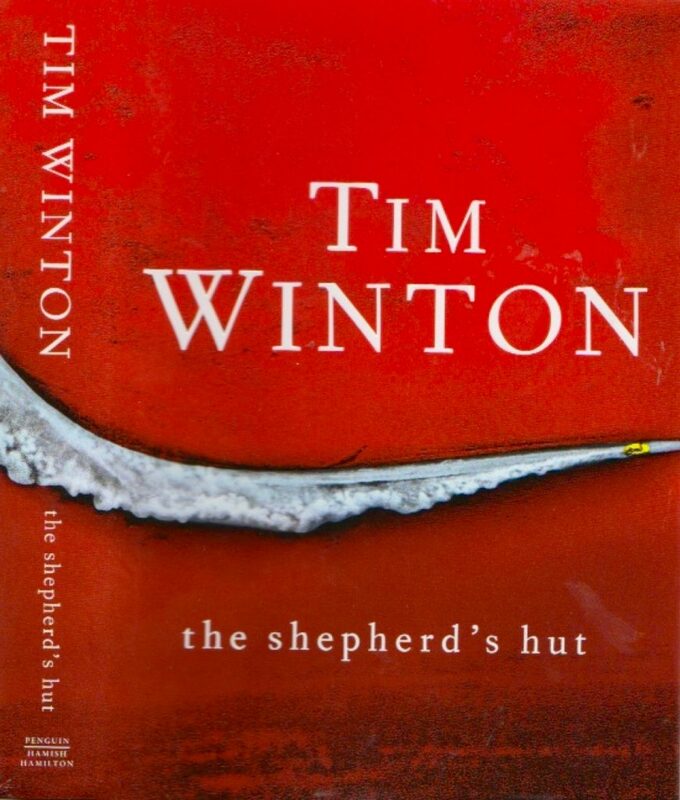 As I’ve said elsewhere, it’s such an Australian novel you feel you should read it with your mouth closed in case the flies blow in. I adored this book, and so has everyone to whom I’ve either lent or given it. And then Vivek Shanbhag, whose book Ghachar Ghochar I’ve been raving about over and over again on this website, signed a copy of that book for me and we chatted, and I thought I would pass out in awe and admiration. I went to lots of sessions at Writers Week and wasn’t bored once. Of course, I was in the front row for Sarah Krasnostein’s session about The Trauma Cleaner. Loved that book! I bought 14 novels at Writer’s Week so will keep you posted about the ones I was crazy about. The writers came from so many different places, geographically and psychologically, that it was a riveting ride, from start to finish. Sadly, the director Laura Kroetsch, is moving on to another festival in Tasmania. Her programming was marvellous. Later in the month (March), I spoke to hundreds of Catholic students—deemed to be the leaders of tomorrow, from 17 different high schools—at Santa Sabina College in Sydney. The event, organised by the Edmund Rice Centre for Justice and Community Education, was called the Justice Literary Event. The students’ questions were intelligent and searching: e.g.Have you ever felt your activism was a waste of time? [Answer: yes, much of the time.] Have you ever regretted not taking action? [Answer, yes: two days ago I passed parked car with a vile anti-immigration message written across a map of Australia, and I didn’t stop, and I didn’t write a note, and I didn’t put it under his windscreen. (It had to be a ‘he’. The language was too filthy to put on my website.) And I was furious with myself for the rest of the day.] The most inspiring and shattering moment of the day for me was when the ex-Iraqi refugee and now famous Sydney orthopaedic surgeon, Dr Munjed Al Muderis, told us that he’d been relieved to have been jailed for being a trouble-maker at the Curtin Detention Centre in Western Australia, because in jail in Perth he discovered was safe at last: he had regular food, a bed, proper shelter, books, and peace, and lived by rules that were not broken. When people eventually discover—as they will, because they always do, in the end—exactly how cruel and unnecessary our treatment of refugees has been and continues to be, they will be mightily shocked and deeply disturbed and ashamed, and they will say: ‘But this was in our lifetimes! How come didn’t we not know what was going on?’ It’s a question today’s federal politicians will have to answer. Here’s a happy photo from Nauru, our detention camp for refugees. Gabby Sutherland is the inspired and inspiring teacher. Batol is a little girl in detention: yes, a child, who has done nothing wrong. Australia, Australia, how can we do this? How cruel we are. Ah, politics, politics. I grew up immersed in it, in Rhodesia, now Zimbabwe, where both my parents were highly political, fighting for Africans’ rights. My father started the United College of Education for the training of African teachers. It’s just celebrated its 50th birthday. There was a lovely piece about him at <http://ebusinessweekly.co.zw/uce-a-light-in-bulawayo-turns-50> It goes without saying that I am who I am due to the attitudes and activism of my mum and dad. The apple doesn’t fall far from the tree. Actually, we grew more avocados and guavas than apples, but never mind. 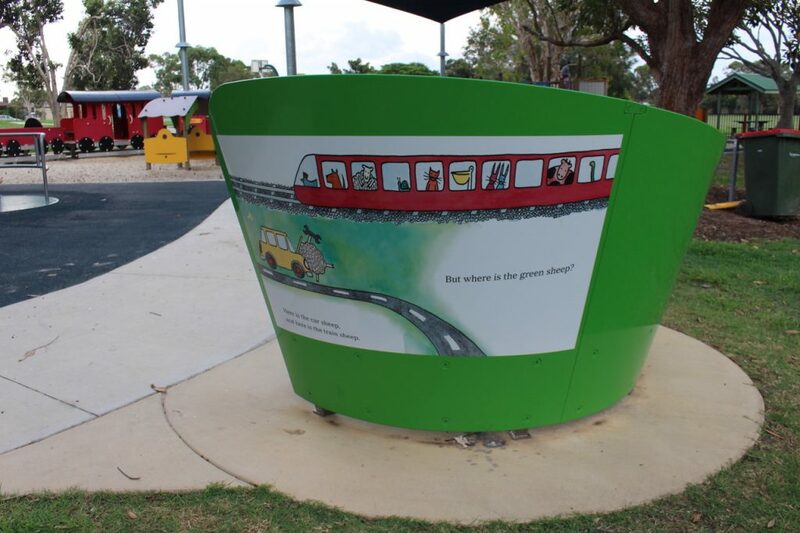 Last weekend, yesterday actually, I spoke at the Early Childhood Expo in Rosehill, in Sydney. Lovely people, so appreciative. 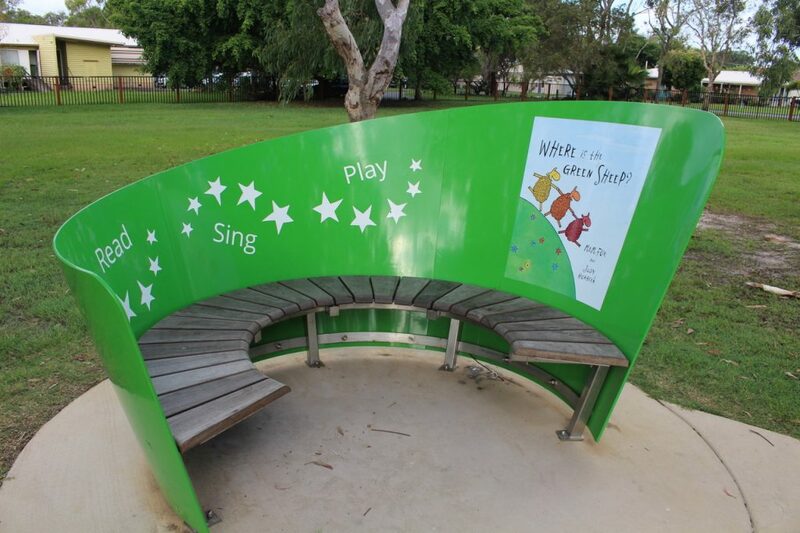 I love speaking to parents, carers and early childhood teachers . We know we’re the most important people in little children’s lives and we do our best to make their lives and futures safe and successful. 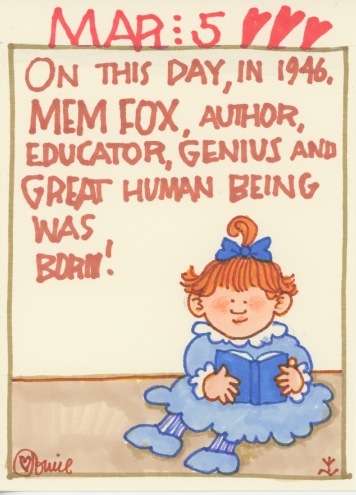 One of the kindergarten teachers told me she’d been in trouble in her institution for reading the same book to the children every day for days on end, because they loved it. She had been urged to read something else. But as I’d said in my presentation, it’s precisely the over-and-over ness of hearing the same stories that makes children latch on to books and discover the magic they provide. Their language develops, they laugh, they calm down, their brains develop. I could go on, as you know, but I’ll stop there, except to say I gave the teacher my own copy of Reading Magic and told her to shove it in the faces of her boss and colleagues. I’m sick of being polite about things that are important. A little anger goes a long way, in the right circumstances. For example, my taxi driver in Sydney this morning, started issuing racist bile against immigrants and I said: ‘I’m of the exact opposite opinion, and what you’ve just said has made me furious, so please don’t say anything like that again on this journey.’ Too few of us push back against racism. In those circumstances I’ve usually been weakly polite, let such comments pass, and then quickly changed the subject, but no more. I won’t put up with it. I mean, he assumed I’d agree with him! His shock at my remark was pleasing. Mongrel. Next weekend: Sunday April 15th, I’ll be reading at the United at The Zoo Day in Adelaide. At the zoo, not in it! United Way is doing the most wonderful work with parents, encouraging them and helping them to read to their children before they start school by providing them with books that children love. The Zoo Day is an important day on the United Way calendar: free zoo passes for hundreds of children who might otherwise never see an exotic animal or bird. Talking of animals, the green sheep is continuing its wander across the land. 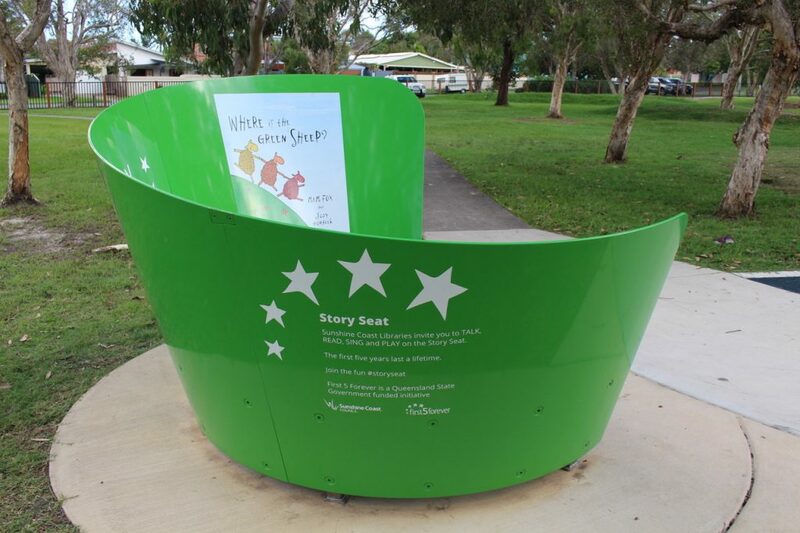 The Sunshine Coast Library in Queensland has this magnificent Green Sheep seat to sit on and read, in the open air. Heaven! And talking of books, if you need a good book to read, I highly recommend Brother, by David Chariandry. It’s absolutely superb. I’ve just finished it. Till next time, may happiness, health and good books be yours.